BAC NINH (VNS) — The Bac Ninh People's Committee today inaugurated a specialised technology centre in Bac Ninh General Hospital. At the inauguration ceremony, Deputy Minister of Health Nguyen Thi Xuyen said the centre would help to reduce overcrowding at central hospitals by giving local residents access to high-quality health check-ups and examinations at the centre. Xuyen said the provincial health sector should give more training to medical workers, apply information technology in its work and improve the medical workers' attitude while giving health check-ups to patients. 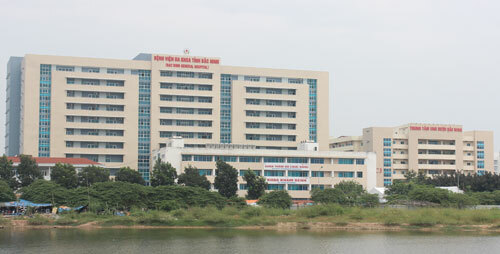 The construction of the specialised technology centre started on February 22, 2010, with a total investment of VND450 billion (US$20 million) funded by government bonds and the provincial budget. The centre has 11 floors and a ground floor, comprising a total of nearly 42,000sq.m.